After unsuccessfully trying to find a place to go apple picking last weekend, I decided that pumpkin picking was the next best thing. 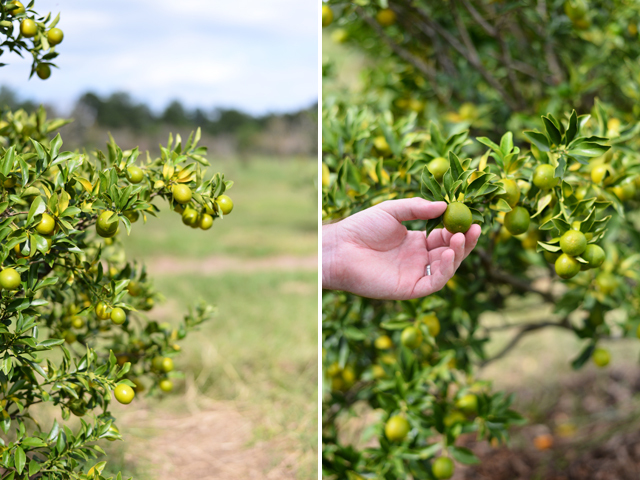 When we got to the farm, the farm stand was full of pumpkins and the orchard’s trees were filled with persimmons and unripe citrus. It was a beautiful overcast afternoon and even though Andrew and I were the only people there without kids (seriously, everyone there had kids! ), we had a great time just the two of us. After walking through the grounds and chatting with the guy at the farm stand, I learned that not only was there no actual pumpkin patch at the farm, but all the pumpkins at the stand were from the Northeast. Apparently people don’t grow pumpkins in Texas—how was I supposed to know? Despite being a little disappointed about the imported pumpkins, we still went home with a pumpkin for carving and 2 sugar pie pumpkins for cooking. The big pumpkin has yet to be carved, but I successfully baked and pureed the little sugar pie pumpkins. I’m used to buying canned pumpkin, so having fresh pumpkin puree to cook and bake with feels extra special. Some people like to cut their pumpkins in half and remove the seeds before baking, but I prefer to bake my pumpkins whole. It’s easier to cut and de-seed pumpkins when they are soft and being the clumsy person that I am, it’s the only safe way for me to do it. I haven’t decided what I’m going to make with the puree yet. Pie, bread, soup… there are too many options. Suggestions are welcomed! Preheat the oven to 350 degrees. Clean and dry each pumpkin thoroughly. 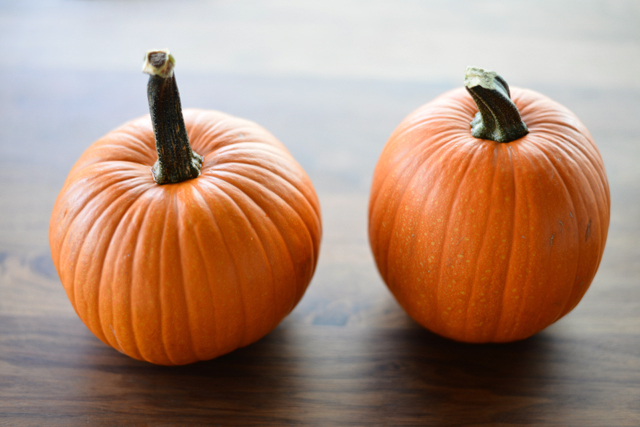 With a sharp knife, cut a few slits near the top of each pumpkin. Place the pumpkins directly on the middle rack of the oven. Place a baking sheet on the bottom rack of the oven to catch any juices that may run from the pumpkins. Bake for 45 minutes to an hour, or until the pumpkins are soft all way through and a knife can easily pierce through the flesh. Let the pumpkins cool completely. Remove the seeds and peels, and cut the pumpkin flesh into cubes. Puree the pumpkin cubes in the food processor until nice and smooth. Store in an airtight container in the fridge or freeze for future use. Pumpkin is one of the reasons I love Fall! Pumpkin whoopie pies are my newest obsession. To roast the pumpkins, how deep should the slits be, just past the skin, all the way through into the hollow area or somewhere in between? Hi Vic, Pumpkin is one of the reasons I love fall too! As long as the skin has been pierced, it shouldn’t matter how deep the slits are. This is just a precaution so that the pumpkins don’t explode in the oven (the slits let some of the steam escape). We’ve been eating pumpkin roasted with breadcrumbs and sage or in risotto the last few weeks but I feel the need to make something sweet soon. 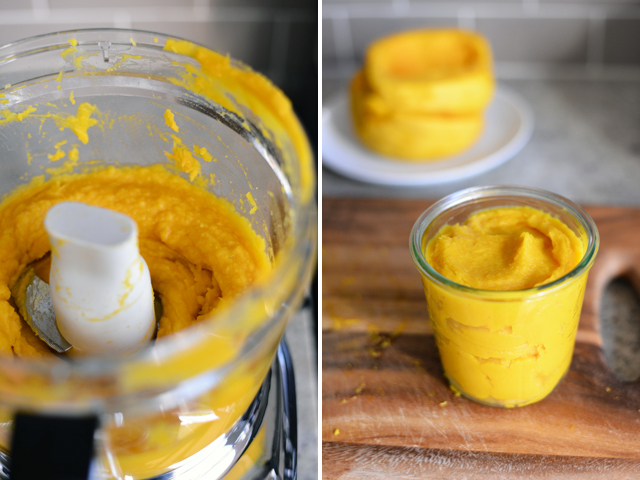 This puree looks like the perfect base for lots of sweet recipes – bookmarking to try! My favourite use for pumpkin puree is to add some goats cheese and make ravioli! You don’t find many sweet pumpkin dishes here in Australia so mostly I’m a fan of it savoury. I’m sure you will turn it into something gorgeous as always! Connie, you sound just like us…! What do you mean no apple farms around here? 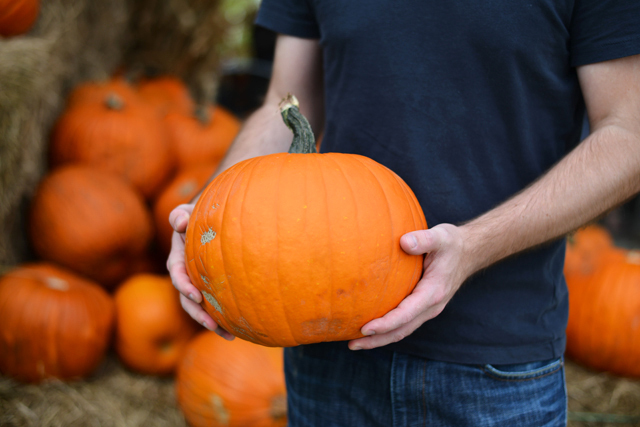 Wait…no pumpkin farms?? And then you get to Xmas…no Xmas tree farms! There is another Houston blogger…her blog name is Miusume. She is a doll and I believe around your age. She went up to Dallas to the Botanical Gardens. They have a humongous pumpkin extravaganza display. You should google that. I wish there were something like that here in Houston. Also, I have to say that Whole Foods has an awesome selection of pumpkins. 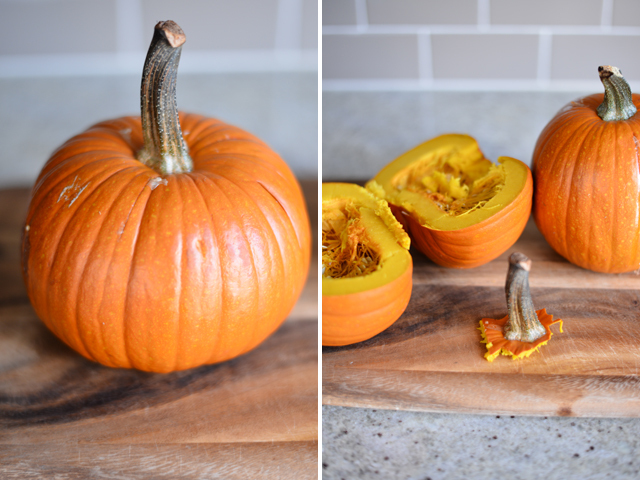 What to do with your pumpkin puree?? Perhaps scones?